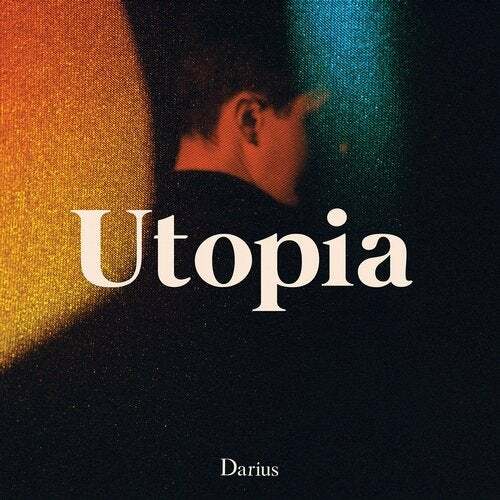 Darius is among those young artists who make you realize how much the electronic music scene has entered a new era. Having started off with Roche Musique, and now signed on Animal 63, Darius uses his machines like others once played their instrument to express their time and their emotions. His first album 'Utopia' is entirely electronic, but reminds us of great soul or psychedelic records as much as it does electro music. This perhaps is due to the fact that the man behind it does not think in terms of genre and technological innovation, but simply wants to invigorate his generation despite the darkness of our time. Utopia, with its minimal sound palette and striking coherence, is an album you listen to in one breath. Vocalists E^ST, Max Jury and Wayne Snow joined Darius for the project, giving the whole project a powerful vocal breath. Even the instrumental tracks sound like they were sung, or should we say haunted by vocals. Fear not: unlike many current productions, Utopia is not sombre and anguished. Those who haunt it come in peace, with love. Nor does Darius exaggerate the musical technicality or innovation of his work. He instead relies on a collection of matters and manners - enveloping synth sounds, curvy bass-lines, spiraling filters. Despite the wide landscape it deploys, Utopia is not maximalistic: its range of emotions is simple, direct; they caress the ears and bring out their blues. The album is a world of music invented and fantasized, hence the Utopia. It digs in 60s or 70s classic repertoire such as soul, Californian pop, German and African psychedelia. At the same time it speaks today's languages, post-Dilla hip-hop, digital dancehall, or early 2000s British breakbeat. You'll also catch an echo of 90s Bristol, in the way it makes melancholy voluptuous, almost desirable, and finds vital energy in despair. Without ever following these rules to the letter, Darius' LP is both sobre and ample, generous. It flutters along patterns and moods, and only obeys one rule: that of a musical private diary. Just our luck that this sensitive and reserved young man agreed to share a few of its pages, and that they resonate so well with us.